Immerse yourself in the nature and culture of Japan through the lens of art, architecture, design, and gardens. Our journey will begin in the bustling metropolis of Tokyo; continue by bullet train to the remote Inland Sea to Naoshima (and nearby islands), with its contemporary art hotel, unique museums and site-specific art; and end with several days in Kyoto, the serene ancient capital. 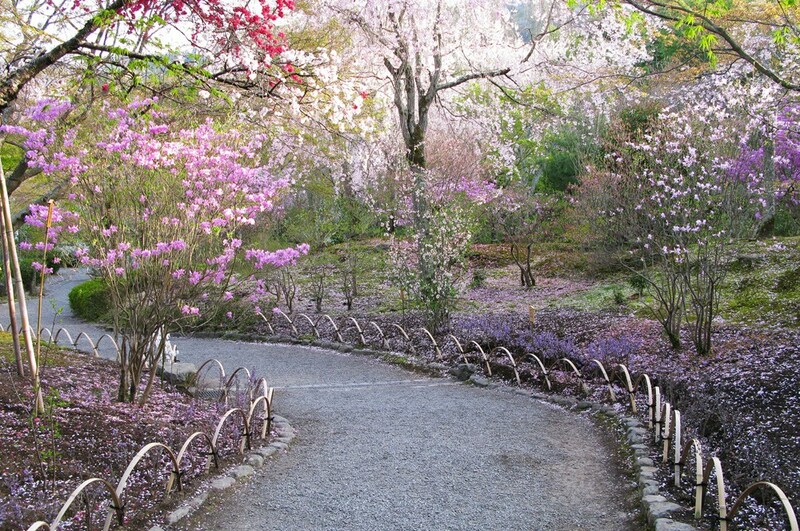 The Japanese cherish nature, and early April is the usual cherry blossom time -- the quintessential Japan seasonal celebration; we'll also visit moss- and rock- and strolling gardens, view ancient, modern, and contemporary renderings of the landscape, and learn about how Japanese cuisine connects so strongly to the earth and sea. Culinary experiences will include market visits, food shopping in traditional shops, and department stores, an elegant seasonal kai-seki banquet, a real ramen counter, a vegetarian shōjin ryōri Buddhist lunch at a temple, and more. The 12-day immersion tour has been shaped by Mark Holzbach and Dana Friis-Hansen. Having lived in Japan for five years during the 1990s, and since then having organized exhibitions and written extensively about Japanese art, their insights, experiences, and insider connections will make this a once-in-a-lifetime travel experience. Our focus will include artists and architects including Tadao Ando, Toyo Ito, Yayoi Kusama, Issey Miyake, Takashi Murakami, Rei Naito, Isamu Noguchi, Shinro Ohtake, SANAA, Hiroshi Sugimoto, James Turrell, and others. The rich variety of your Japanese experience commences as the jet coasts to the runway, with vistas of rice fields, temple compounds, residential neighborhoods, highway spirals, speeding trains, and bold and colorful signage. The moment your flight lands at Tokyo, the modern systems kick in, as you move through Narita International Airport, with its efficient arrival formalities, to a reserved, private transfer that will bring you to our downtown hotel. As you are driving, take notice of the things that make Japan unique. Ideally located in the center of the vibrant Ginza neighborhood, Tokyo’s storied shopping and business district, the Hyatt Ginza Centric (or similar) has an eclectic, modern atmosphere. There will be an optional “get-to-know-your-neighborhood” stroll; otherwise no group gathering is planned this day in order to allow you to acclimate to the new time zone after your long flight. Spring is said to be the favorite season in Japan. Each April, the Japanese become stirred with anticipation of the blossoming of the cherry trees, as it sweeps northward. Locals gather in parks, gardens, riversides and castle grounds to eat, drink, sing, and enjoy the dramatic explosions of pale pink which signals annual arrival of spring with a euphoric hanami [cherry blossom-viewing] party. Their remarkably brief blossoming serves as a reminder of life, death, and renewal, and a signal to appreciate the ephemeral beauty of each moment. We will find this timeless floral symbolism throughout the Japanese art we will see, and while nature will determine the timing, during our trip we anticipate experiencing the glory of this natural and social phenomenon in a wide variety of settings, urban, rural, and coastal and time of day [Hanami at night is called yozakura]. We gather in the lobby and travel across town in a small fleet of reserved taxis, our primary mode of transport in the cities. A walk through the peaceful Meiji Shrine serves as an introduction to Shinto, Japan’s ancient indigenous spiritual belief, and a kagura blessing ceremony including Silk Road era music, dance and costumes. We’ll continue on foot along the tree-lined Omotesando street, the “Champs-Elysees of Tokyo,” to see dramatic retail architecture including spectacular flagship buildings of Tod’s (architect: Toyo Ito), Christian Dior (architect: SANAA), Issey Miyake (architect: Tokujin Yoshioka), and Prada (architect: Herzog and de Meuron). We will enjoy lunch at Cafe Kanetanaka in a space designed by Hiroshi Sugimoto, the noted photographer whose creative focus has expanded to explore ancient traditions through space design. Afterwards, we’ll see the current show at the Nezu Museum, known for its exquisite traditional Japanese painting, sculpture, calligraphy, ceramics, lacquerware, bamboo craft and tea ceremony utensils. Its signature building was recently reopened after a redesign by architect Kengo Kuma, and stroll through the dramatic bamboo garden. After this immersion in Japanese traditions, we’re planning a celebratory Welcome Dinner during which we’ll enjoy (and learn about) the role seasonal cuisine in ancient and traditional culture. Today we’ll focus on contemporary Japanese art and culture, starting in the colorful Roppongi district, including dramatic architecture, public spaces, museums, contemporary crafts, and high technology. A special experience with be to meet with leaders of the Mori Art Museum, located atop a skyscraper, who will take us through their triennial survey of the Japanese art scene and we’ll have a spectacular view of the metropolis from one floor above, at the Tokyo City View observation deck. Continuing on foot back at street level, we’ll follow the dazzling trail of public art in both Roppongi Hills and Tokyo Midtown. Another destination is 21_21 DesignSight, a cutting edge design museum conceived by Issey Miyake in a architecturally spectacular building designed by Tadao Ando. Nearby, we will be welcomed at the fabric design studio, Nuno, where traditional weaving techniques are combined with with new fibers and technologies to create the innovative textiles by Reiko Sudo and her design team. We continue to explore the ways Japanese artists show us new angles on 21st century existence. With meetings at contemporary galleries, alternative spaces, and collections dispersed in unique neighborhoods around the city, we will meet artists, gallerists, and curators to learn more about the tensions between traditional arts and contemporary life. For our picnic lunch (under the cherry blossoms??? ), we will explore one of the department store food halls and select lunch from a vast and beautiful array of prepared foods that Japanese workers and families rely upon in their fast-paced lives. A highlight of the day will be a tour of the Yayoi Kusama Museum, where we will be greeted by the director. This recently-opened 5-story building designed by Kume Sekkei showcases a retrospective presentation of paintings, sculptures, and installations in a small neighborhood in Shinjuku. We’ll depart Tokyo and travel to Manazuru, a small town on the rugged coast of Sagami Bay, to spend the morning at the Hiroshi Sugimoto's recently completed Enoura Observatory, an art experience combining photography, sculpture, architecture, landscape. We will wander along a path of historic stones from remote corners of Japan, through an enigmatic stone gate, past a delicate wood and paper teahouse, into a rusted steel tunnel cantilevered over the sea, arriving at an amphitheater overlooking a cypress and optical glass stage melting into the horizon. In the afternoon, we’ll continue to Shuzenji, a small, pedestrian-friendly onsen (hot springs) town to stay at one of Japan’s finest old traditional inns, such as Asaba. This historic ryokan is set around a Japanese garden with a pond and Noh stage, and has natural hot spring baths. Tonight’s dinner will be exquisitely prepared seasonal kaiseki cuisine served on beautiful ceramic dishes. Our journey today is by high-speed train, charter coach and ferry to Benesse Art Site, headquartered on Naoshima Island in Japan’s Seto Inland Sea. For the next two days we’ll be immersed in contemporary art and architecture with the sea and sky as a backdrop. This afternoon we will use the Benesse House shuttle bus to visit the Chichu Museum and the Lee Ufan Museums, both designed by Tadao Ando. At sunset, we will return to the Chichu Museum to experience James Turrell’s Open Sky as the sun sets. We are staying for two nights at the Benesse Park Hotel, where every room has sea views and original art. You will have time during our stay to explore the art in the hotel’s public spaces and in the surrounding outdoor spaces and at some point during our stay we will have a private tour of the Fukutake art collection. We will enjoy dinner tonight at the Terrace Restaurant, Park Hotel, with views of the sea. Today’s art explorations will include a trip by private ferry to neighboring Teshima Island to see the mesmerizing Teshima Museum and other site-specific installations. We’ll return to Naoshima to spend the afternoon exploring the Art House Project in Honmura Village, including works by Sugimoto, Turrell, Suda Miyajima, Naito, and Senju. Some may want to have a relaxing soak at I Love Yu, Shinro Ohtake’s art installation that is also a public bathhouse. Dinner is modern kaiseki at Issen, Museum Hotel. En route to Kyoto today, we have planned a short detour by ferry to Shikoku Island for a private experience the late 20th Century artist Isamu Noguchi’s home, gardens, and stone-carving workshop with the foundation’s director. Arriving into Kyoto by train in the late afternoon, we’ll settle into the Celestine Hotel or a similar property in the historic Gion district, our base for the next 3 days. You’ll enjoy this charming neighborhood, known as the wellspring of geisha culture and kabuki. We’ll spend the morning at the peaceful Daitoku-ji Monastery for an experience of the Way of Tea. We are planning to spend time with the abbot of Zuiho-in sub-temple, who is a tea master in the Omotesenke tradition, enjoy garden visits and have a Zen style shojin-ryori (Buddhist vegetarian) lunch. This afternoon will focus on the history and aesthetics of Japanese ceramics with Robert Yellin, an avid collector and long time resident of Japan. Later, we will explore Sanjo district, where traditional wooden machiya townhouses have been repurposed as galleries, cafes and shops. 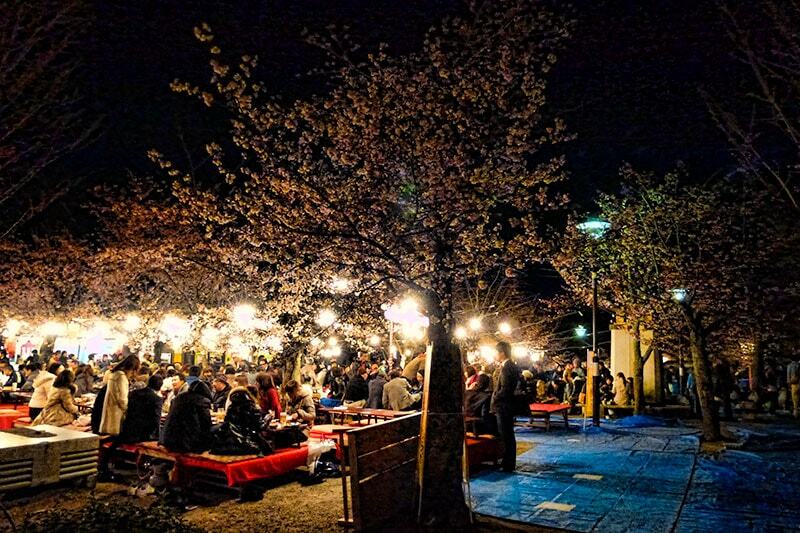 In the evening, we will gather to stroll and stop at one Kyoto's best evening cherry blossom viewing spots, stopping to taste beer, sake, Japanese spirits and with rice-cracker snacks, followed by a delicious dinner. Today we will take an out of town trip by charter coach to rural Shiga Prefecture, the sister state of Michigan. Expanding our understanding of traditional arts, we'll explore aizome, or indigo dying, which dates back to the 12th century. Our hosts are a family of indigo dyers who work with the Imperial Family to dye yarns, fabric, and washi paper. We see their traditional dye process and some finished product. Continuing further into the countryside, we arrive at the monumental Miho Museum, which was designed by the renowned architect I.M. Pei to house a renowned private art collection. We hope to see sakura trees in full bloom as we walk to the entrance of the museum. Afterwards, in we will visit the studio of a ceramic artist in Shigaraki pottery village, one of Japan’s great pottery towns known for unadorned, wood fired stoneware. We begin the morning with a visit, by special invitation, Hogo-in, a private villa in the Arashiyama district within Tenryu-ji monastery. We have obtained special permission to visit the 200-year old private villa, which is an example of highly refined and inventive sukiya-style carpentry. Our host will be the temple’s landscape architectural advisor. Lunch will be at a special noodle restaurant that is conveniently located within Matsuo Shrine. As a finale to our Japanese journey, we are planning to revel in the sublime experience of Saiho-ji, the Moss Temple. Our Farewell dinner in Kyoto will be a festive gathering in a private room so we can share thoughts and stories. The tour ends after breakfast this morning. We will give you options for planning your departure transfer. Please consider our “Walking Japan: Past, Present, and Future” tour from April 14th through April 20th. It would be a lovely extension of your time in Japan.